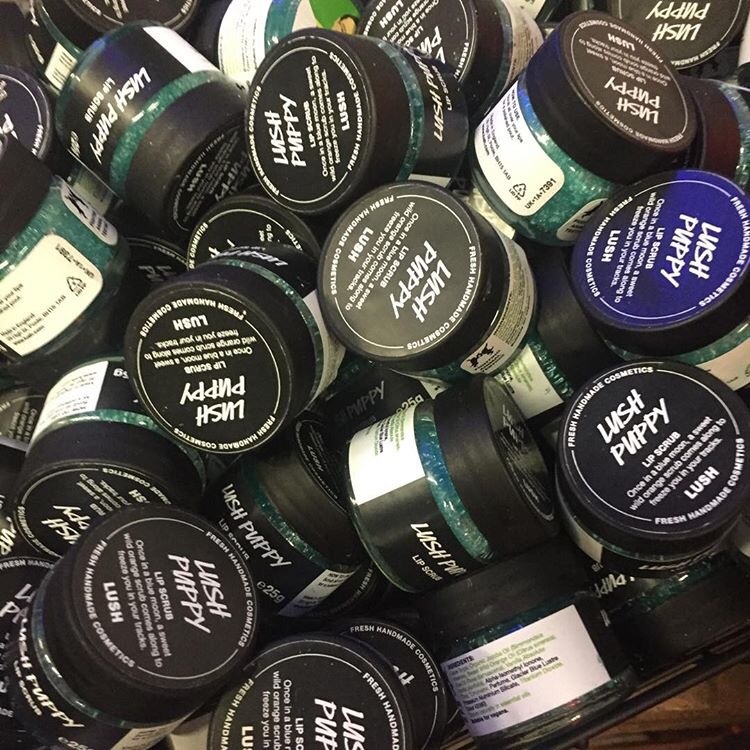 Lush is having two day event Feb 8 & 9. 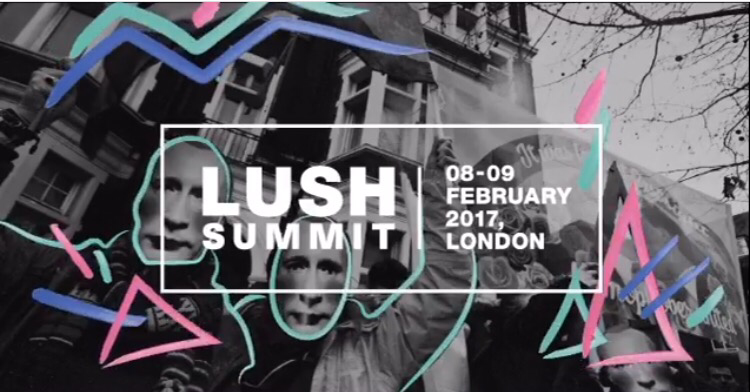 Much like the Lush 2016 Creative Showcase, Lush will be having exclusive products available, only for attendees. 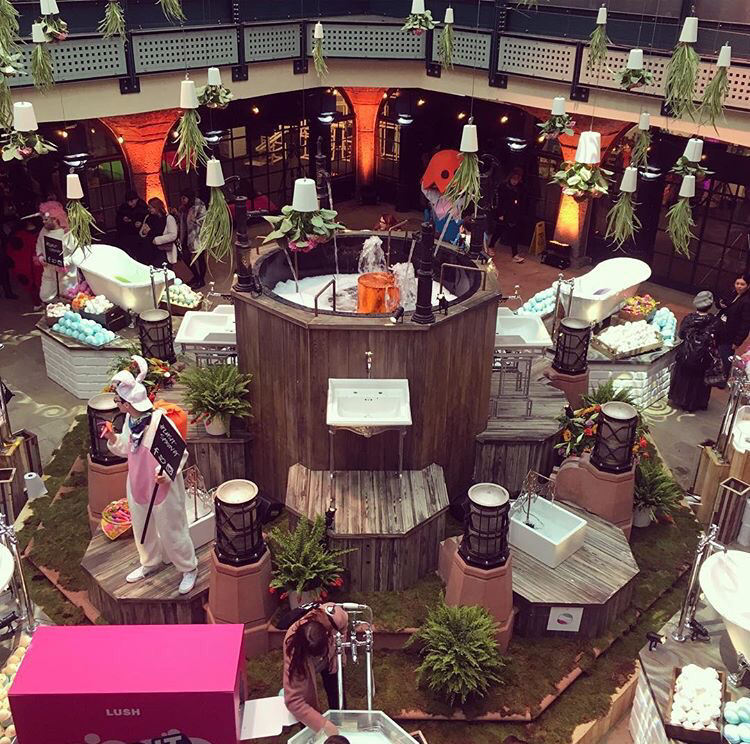 The Lush Summit event at Tobacco Dock has a main stage area, and a main product demonstration area, with fantastical tubs and sinks, holding giant versions of limited edition bath bombs. There are multitudinous other stations and rooms, which exhibit protests, musical performances, and demonstrations which showcase various new product inventions. 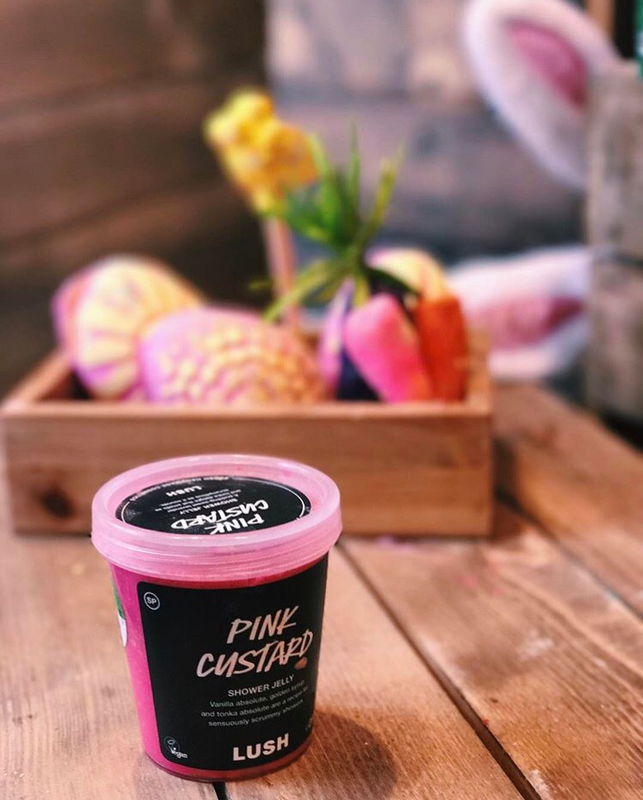 Some of the products shown will be sold on their Lush.co.uk/kitchen mail order website, and a few will eventually be in ALL Lush stores within a few weeks. The Summit has areas such as the “Scented Cinama”, “Digital Ethics Room”, Climate and Energy room, Human Rights room, War and Poverty room, and the “Animals in Servitude” room to name a few. I created an alphabetical list of the products shown at the event below. Some of these products I will add are exclusive to the Summit event, not available anywhere else, and i will mark those as such. I’ll also add release dates as i get them. 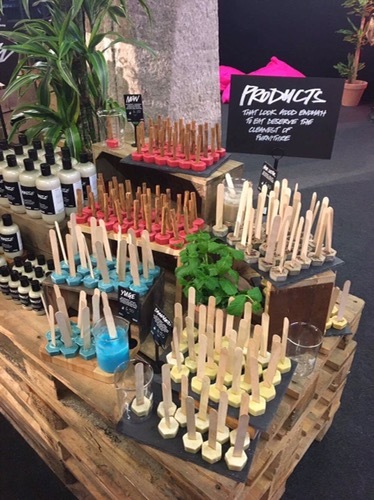 There are additional products which Lush created strictly for Lush supported charities which were also showcased at this event. I’ll list those as well. I’ll be adding pages for as many of these products as I can, and I will update daily as I get more info on them, as I did for the Creative Showcase event. 😄💕 I will be recording demos of some of these items within the next week or two. 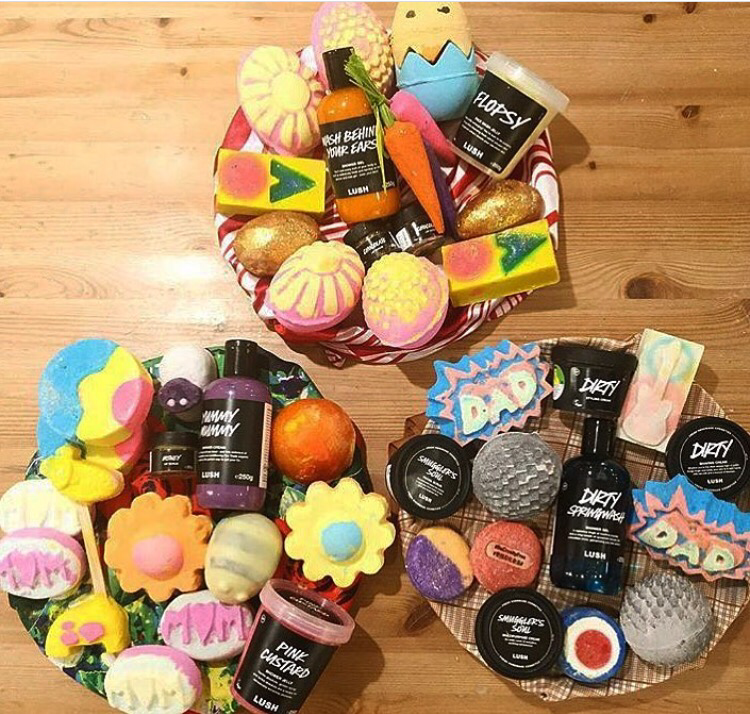 Additionally, Lush is selling all 2017 Mother’s day products, AND all Easter 2017 products. There are also products shown at the Summit event that will be exclusive to the Oxford Street store. Thank you to Amelia Ng for the photos. Birth of Venus face mask I have this will be reviewing it this week. Cardamom and Coffee wash sheetI have this will be reviewing it this week. Comforter body conditionerI have this will be reviewing it this week. Fomo face maskI have this will be reviewing it this week. Grass solid shampoo I have this will be reviewing it this week. Hair doctor I have this will be reviewing it this week. Iron Ons I have these will be reviewing it this week. Karma wash sheet I have this will be reviewing it this week. Lord of Misrule body conditioner I have this will be reviewing it this week. Magnificent bath oil I have this will be reviewing it this week. Rose Jam body spray I have this will be reviewing it this week. Rump I have this will be reviewing it this week. Smuggler’s Soul wash sheet I have this will be reviewing it this week. “Fox” bath bomb (was also available in the Lush Uk Kitchen mail order website this morning. They were sold out before i could get one. Posted on February 13, 2017 by Lushalot	• This entry was posted in Uncategorized and tagged lush summit 2017. Bookmark the permalink. That must be what the manager of my local store (UT) is going to the U.K. for. She said Lush is bringing managers out in February. COOL! I’m excited to see. Oh man! That stinks that it’s in London! Funny Face and Think Pink are both from the Audrey Hepburn movie Funny Face. 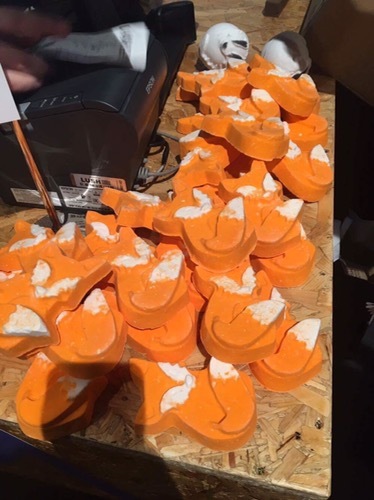 Do we know if Fox bath bomb is coming back or is it a Summit exclusive? 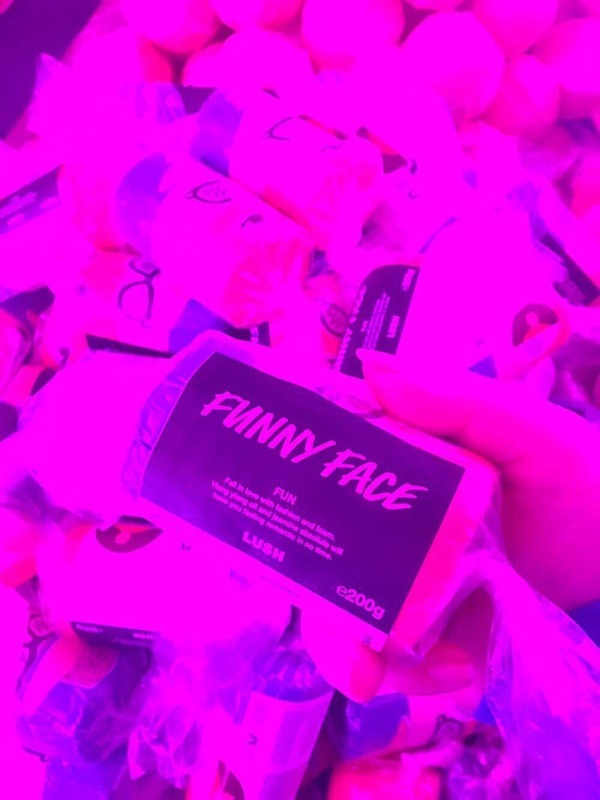 I received a Lush order today, and got a Bouncy Bunny Shower Jelly sample. 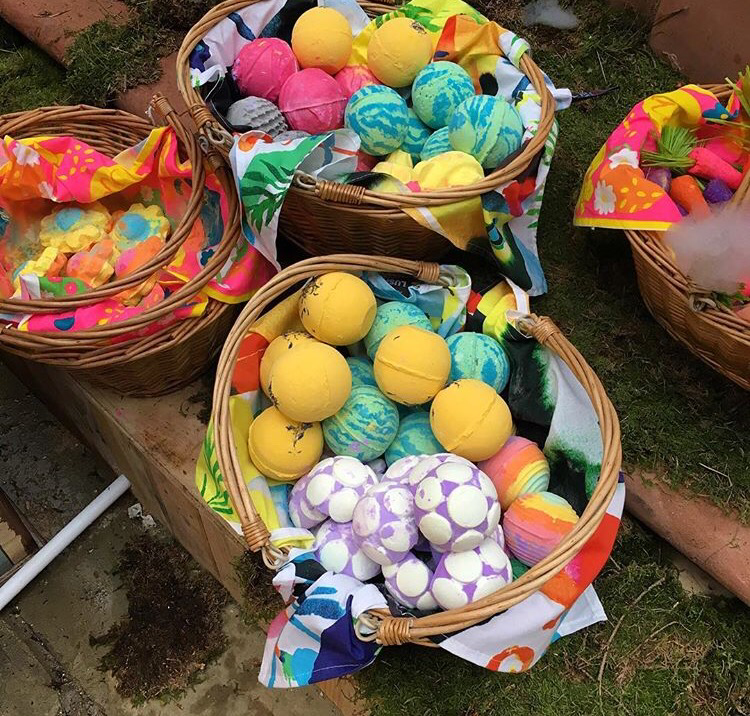 Does this mean Bouncy Bunny will be included in the Lush North America Easter line this year? 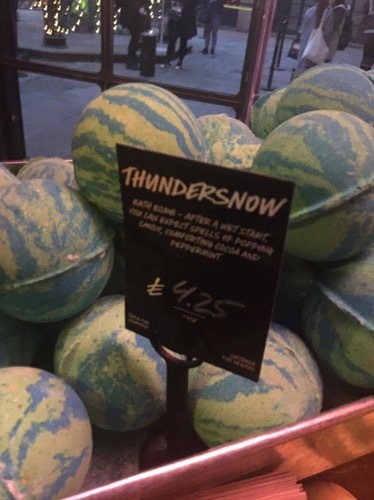 I did not see it at the Lush Summit 2017.